"Onto the dark abyss that is space." Go beyond imagination with custom printed inflatable dome tents. These fully printed masterpieces were produced for NASA, as part of a campaign to educate about the benefits of space exploration. Children and adults alike will enjoy being inside one of these. Inflatable domes can also be used to display images onto the interior using projectors, for further exploration of space. Every square inch of these inflatable planets' exteriors were digitally printed in great detail. The exterior shells are essentially art pieces, that required many hours to complete. Our designers utilized satellite imagery of Earth, Jupiter, and the Sun, and combined them using advanced art programs in order to achieve the realistic appearance of each dome. Our inflatable domes can be printed with any artwork you desire. Since we directly manufacture these products, we can make them to your exact specifications. 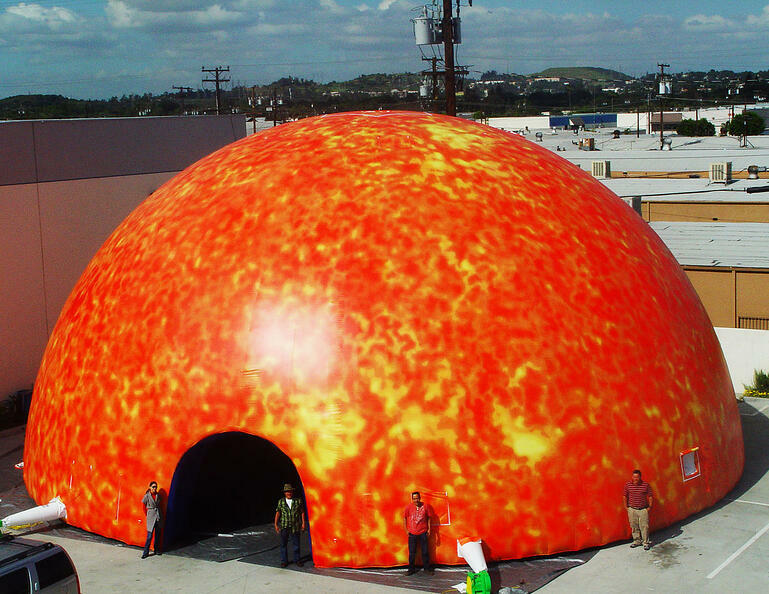 These vibrant and colossal domes are perfect for outdoor exhibitions and museums. 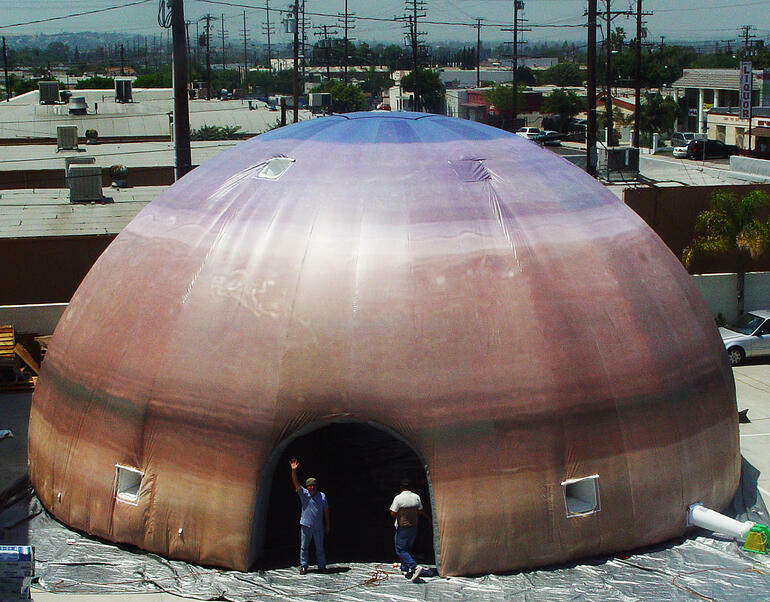 A massive inflatable dome tent like this one is sure to get you a line of people wanting to check out what's inside. This can even be your tiny mobile museum and you can charge a few dollars for entry and make a killing. If you can get people in for a minimal fee, you're likely to get a lot of business. 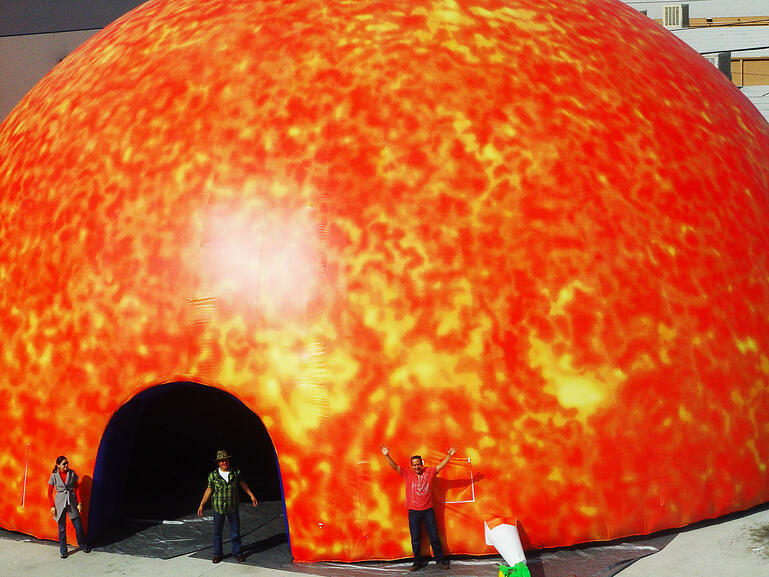 Either way, a huge dome that's printed like a sun is sure to get a lot of attention, so make the most of it.